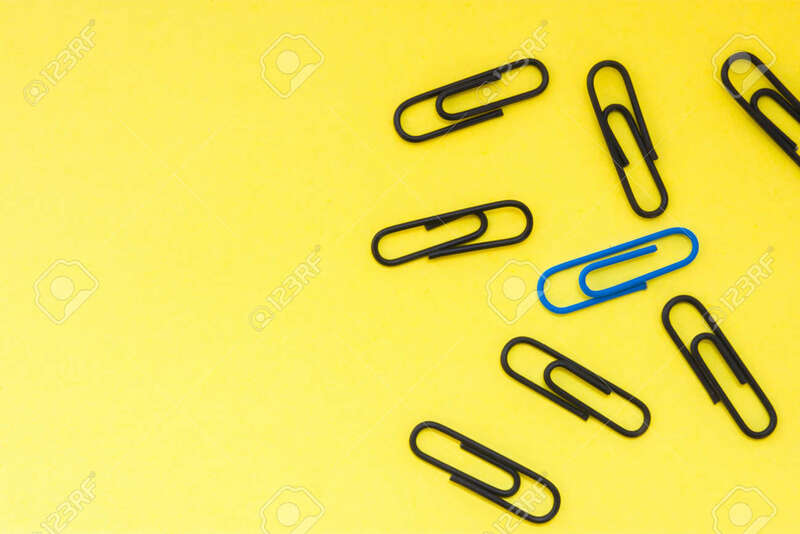 One Blue Clip And Many Black Clips On Yellow Uniform Background View From Above With Clear Area Of Half Of Photo For Labels Or Headers. Concept Photo To Highlight, Not To Be Like At All Royalty Free Stok Fotoğraf, Resimler, Görseller Ve Stok Fotoğrafçılık. Image 118411140.